It’s not often that I pay attention to what critics say about TV. It’s hard to keep faith in an institution that lauds white woman’s burden Orange is the New Black and by-the-numbers re-make House of Cards as the leading television of our time. On the rare occasions I do listen to TV critics, I always regret it bitterly. It was underwhelming reviews that prevented me from watching David Simon and Eric Overmeyer’s superb series about music and recovery in a post-Katrina New Orleans Treme until now. Of course, I should have found out for myself, but with the unanimous adoration of Simon’s The Wire I thought I could trust critics to evaluate his work for me. But I forgot that – much like the interplay of public institutions in The Wire – TV criticism is a game, and the rules demand that anything which follows a universally acknowledged masterpiece must be panned, regardless of whether it’s actually any good. If it was simply their loss, I wouldn’t care at all. But critics still have the cultural power to determine what we should watch, perhaps more now that there is more to choose from. And, believe me, it’s our loss. Just another day in New Orleans. Read the reviews of Treme and they’ll tell you time and again that it’s full of unsympathetic characters and slow and meandering storylines without a lick of the complexity or profundity of The Wire. First of all, I thought we all agreed having ambiguous characters on TV was a good thing. We spent the last five years fawning over teacher-turned-druglord Walter White on Breaking Bad and the previous eight over family man mob kingpin Tony Soprano. The characters in Treme might acts like dicks, self-destruct and show themselves up, but they’re not sociopaths or venal criminals. The writers aren’t even using Katrina as an excuse for their bad behaviour. Like their city, they’re doing as much harm to themselves as has been done to them. We’re supposed to have sympathy for the people of New Orleans because of the atrocities they suffered, not because they’re flawless human beings. Besides if you can’t see their redeeming characteristics, you haven’t watched enough. Treme is musical television and the storylines naturally go slower because they’re continually (and gloriously!) interrupted by song breaks. Plus, I don’t think the story proceeds much slower than The Wire with its depiction of the drudgery of police work. Treme is driven by character not story and hence take its sweet time observing and developing characters without being carried away by the momentum of plot. It’s just as regional as the Baltimore-set The Wire and that was never an obstacle to significant drama. As the series is always saying, New Orleans is much more important to America than America thinks. It’s overflowing with local history and culture – not least centuries of jazz and blues that pour from the lips of every musical number – which tempers the idea that Treme is a knee-jerk reaction to contemporary events. 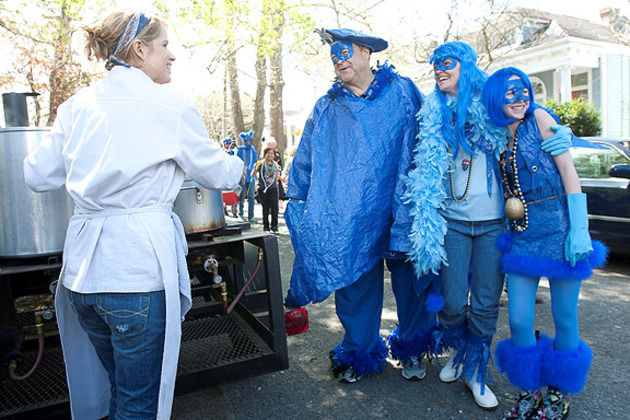 I can only imagine that people are put-off by their ignorance of New Orleans and maybe even jazz in general. I am woefully ignorant about New Orleans, and if I ever thought I wasn’t Treme showed me otherwise, but the series is happy to induct us philistines. Scenes featuring tourists and armchair critics of New Orleans offer an outsider’s eye while rectifying some of the lazy, abusive myths about the city’s cultural redundancy. I know a little more about jazz, but Treme is way more critical of jazz snobs than those who use the genre to have a funky good time. See that John Goodman, that’s me that is. Treme frequently airs the view that New Orleans lacks moral fibre, and from the looks of the local diet perhaps actual fibre too. Television too has shouldered the brunt of these kinds of self-righteous attacks, often being portrayed as bad for your health and your humanity. With Treme bringing these two villains together, I wonder if viewers think that, unlike other quality TV, the series might be bad for them. It’s certainly been bad for me. As well as carrying the guilt of watching the series through Amazon, a corporate hotbed of employee abuse, I’ve been craving breakfasts covered in mountains of sugar, lunches that elevate sandwiches to art forms, and dinners dunked in batter. And I’ve wanted to drink like I’ve never wanted to drink. ‘Blown Deadline’, the company that produces Treme, is presumably a reference to Simon’s days as a journalist and writer, but it pretty much sums up what’s happened to me since I started watching the series. All the projects I’m involved with are either overdue or delayed, thanks to days spent bingeing on a season at a time. 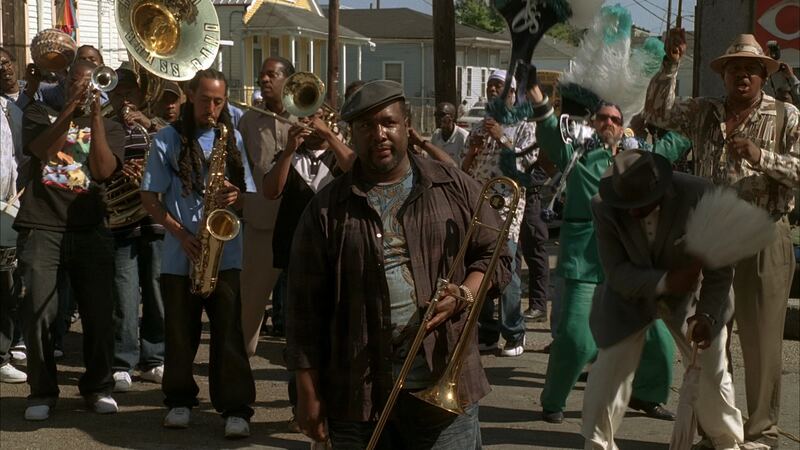 But I’m a better person, because Treme reminds me what life, and good drama, is like.